Sea of Thieves is about to celebrate its anniversary with a big update. 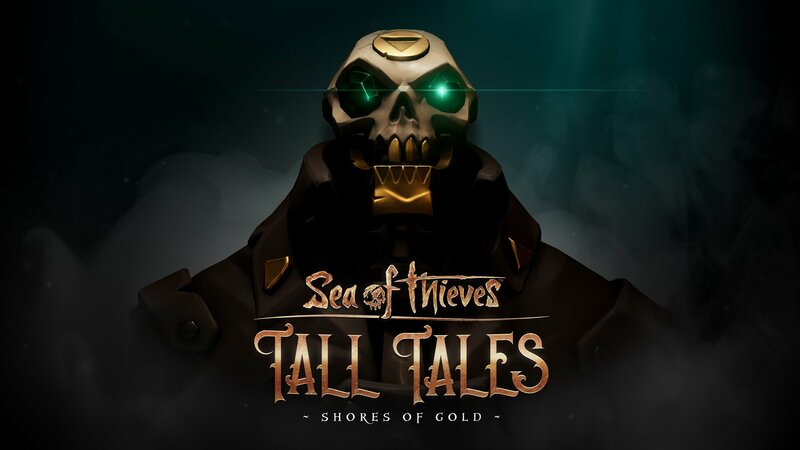 As mentioned in our previous article, it’s due to land on April 30th, when it will add the first proper story campaign (Tall Tales – Shores of Gold), a new island, new trading companies, new NPC enemies, harpoons, more detailed ship damage, fishing, and the brand new Arena competitive PvP mode. Speaking at EGX Rezzed 2019 (transcribed by GamesIndustry), Rare Studio Head Craig Duncan expressed his pride at what the developers were able to accomplish after launching the game last year. I am super proud of the team, because I know we ultimately did what we said we were going to do — which was to launch a game, take feedback and evolve it. But we always reserve the right to change what those plans are. Duncan also wanted to reassure those Sea of Thieves fans who have been worried over the upcoming addition of the Arena PvP mode. It will have its own unique spin, the Rare boss promised. I understand why people get like that, because they don’t have all the inside knowledge of what our plans are. So people jump to route one, which is that they don’t like competitive games. But with us, we’re always trying to put our own spin on it. So what is a competitive game in Sea of Thieves? There’s no point in us making a competitive game that is the same as another. So for us, it’s about how we do competition in a Sea of Thieves way, in a Rare way, that feels completely different to any other competitive multiplayer game. That was the challenge we set ourselves. Then it becomes how do we iterate and evolve that. Sea of Thieves is currently available for $29.99 via Microsoft Store with the discount for Xbox Live Gold subscribers. It’s also included in the Xbox Game Pass subscription.